Also under discussion: The progress of the larger new regional jets and even a revival of interest in 50-seat regional jets, largely as a result of legacy carrier flying work. Bmi regional has helped to make the 45-seat regional jet more prolific in Europe again, and, hinting at future regional jet interest, chairman of independently-owned SkyWork Airlines of Berne, Switzerland, Martin Inäbnit said he wouldn’t be doing his job if he wasn’t looking (at new aircraft). “There are many aircraft available now in their ‘third stage of life’ – the question we have is how do we replace them,” he says. He also hinted that the airline, which flies Saab 2000s and Dornier 328s, was looking at a second UK destination to complement its London City – Basel to Bern services. For the first time in many years, though, the turboprop has overtaken the regional jet in the ERA fleet, with 51% making up the 661-strong total in that category, with an average seating capacity of 73, according to ERA director-general Simon MacNamara in his annual report. ERA’s airlines are now flying a combined 1.1m flights a year, transporting 62m passengers on average 72min sector times. They travel between 1,100 point-to-point routes and generate 275,000 direct, indirect and induced jobs, contributing €52bn to Europe’s GDP. If ERA were an airline, MacNamara pointed out, it would be the biggest in Europe. He was highlighting recent Seabury research, which uncovered that in September 2016, ERA members combined to offer 90,000 flights (73% taken for business, 27% for leisure). Second ranked was Lufthansa at 84,000 (77% and 23% leisure) and third Ryanair (73% business, 27% non-business). This year’s gathering highlighted new faces – ATR announcing the appointment of a new CEO, Christian Scherer, who will be taking over the role from Patrick de Castelbajac, effective 1 November. 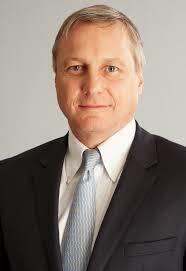 De Castelbajac moves back to the Airbus Group as chief of staff and company secretary, while Scherer, currently executive vice-president and head of Airbus Group International, has signed up to the new ATR post for four years. It remains to be seen whether Airbus will finally concede to partner Alenia’s wishes to develop a stretched 90-seat turboprop. To date, Airbus has viewed it as too close to the A320 family. 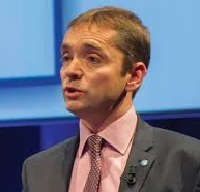 Marking a return in Madrid was Michael Magnusson, the popular former head of Saab Aircraft Leasing, as newly-appointed head of AeroCentury, the only publicly-listed (NYSE) company that exclusively leases regional aircraft. AeroCentury is set to expand its portfolio of 19 turboprops and 12 regional jets, he said. Just last month, it bought two Bombardier CRJ900s from existing customer Adria Airways. In a joint press briefing, SuperJet and European launch customer Irish regional carrier CityJet reported a good revenue service start with the SSJ100, which joined the fleet in June. The aircraft was fully tested on a 30-day ACMI for Finnair on a pretty unforgiving schedule, yet it achieved 100% technical reliability, CityJet chairman Pat Byrne said. CityJet is now flying two SSJ100s and will accept its third this week, the fourth in December and four more by next July. It will also work to phase-out its 15 Avro RJs “within two years” and these will all go back to lessor Falco. “The legacy carriers are increasingly turning to outsourced models,” Byrne told an operators panel led by John Strickland. 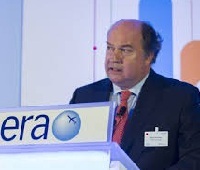 Such rationale is helping smaller dedicated charter companies like Jota Aviation to win ad hoc sub-charter business from legacy carriers like British Airways – and with its Avro RJ and BAe 146 approved for London City Airport, it is not short of work, according to commercial director Mike Sessions. CommutAir (and United Express partner) CEO Subodh Karnik stated that 85% of regional airline activity in the US is already under the capacity-agreement model. Pursuing its own path, Fatih Akol, chairman of the board of Borajet, one of seven new airline members to join ERA this year, and one of Europe’s fastest growing, highlighted his mission to provide more regional connections in Turkey and grow its European network. Its aircraft choice is the new Embraer E2, and BoraJet has also ordered five to join its existing E190 and E195 fleet. Airline consolidation is a continuing trend, ERA heard, and at press time we were awaiting confirmation that CityJet was moving in on Aer Lingus regional carrier Stobart Air, based at London Southend Airport. Binter Canarias scooped Gold in ERA’s annual awards this year (for the sixth time) in recognition of its growth and expansion of new markets, including Cape Verde in Africa, which it hopes to inaugurate in early November, subject to licensing approval. Judges highlighted that the airline, which serves 140 flights a day across its network plus nine cities in West Africa, had maintained profitability in 2015 despite prevalent harsh economic conditions in the Spanish market. At ERA, it confirmed an order for six ATR 72-600s. CityJet took the Silver Award, with judges praising its fleet expansion from 18 to 25 aircraft, expanding its workforce from 500 to 850 staff, integrating Blue1 of Finland into the business with contract flying for SAS and two new aircraft types – eight CRJ900s and two SuperJet SSJ100s – within nine months. The Bronze Award went to Flybe, which rejoined ERA in 2015, for its return to profitability. Southampton Airport took the airport award for demonstrating “extraordinary involvement with the local community, providing new services to disabled passengers and reducing its carbon footprint by 13%”. 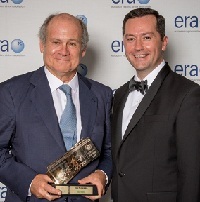 Jesper Rungholm, CEO of Danish Air Transport (DAT), won the Personal Excellence award, chosen by the ERA director-general. He announced proudly that his 24-year old son has joined the business.